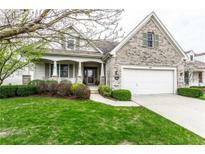 Find Westfield, IN Homes for sale. View Photos, Maps and MLS Data Now! 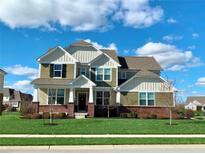 Countryside - Must see this home pride of ownership abounds! MLS#21632995. Keller Williams Indpls Metro N.
Photos shown may be artist rendering, model or of the same model but different Lennar subdivision due to current construction stage. MLS#21634842. CENTURY 21 Scheetz. Carey Commons - 1-yr home warranty included, already in place. MLS#21616350. RE/MAX Complete. Community pool, tennis, playground, and fitness. MLS#21633810. Paradigm Realty Solutions. Maple Village - All this PLUS a full unfinished basement with egress window!And back deck overlooks large yard that backs up to a huge green space! MLS#21633205. Liz Foley Real Estate, Inc..
Crossings At Springmill - 2018 Updates Include Refrigerator, Microwave, Dishwasher, Roof, Water Heater, Updated Landscaping And New Paint In Kitchen And Master Suite. MLS#21633629. ERA Real Estate Links. 3-Car Garage.Energy features include LowE Energy Star qualified windows,Tyvek housewrap, sealed air ducts and registers,10 year transferrable warranty & Customer Care Program. MLS#21631135. F.C. Tucker Company. The walk-in closet in bedroom 2 could be easily converted back to a jack-n-jill bathroom. MLS#21633485. RE/MAX Advanced Realty. 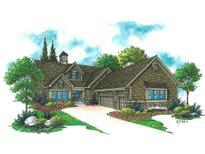 High end finishes & attention to detail - Add your personal touches and this home is ready to start construction! MLS#21632850. Berkshire Hathaway Home. Located just minutes from Clay Terrace and Grand Park- this home is a must see! MLS#21632926. Integra Real Estate. Andover - Pictures may be of a similar model. MLS#21632906. CENTURY 21 Scheetz. Oak Manor - New Deck, Paver Patio, Fire-pit, Nicely Landscaped Backyard, & Irrigation System, School Bus Pick Up Right Outside the Front Door & Just a Short Walk to the Pool! MLS#21632819. RE/MAX Legends Group. Valley View At Viking Meadows - Amazing outdoor grill, fireplace, covered terrace. Built to entertain. MLS#21631885. ERA Real Estate Links. Sit on your covered rear back porch with a fireplace, relax, and watch the approach shots! MLS#21630380. ERA Real Estate Links. Huge neighborhood pool, clubhouse, playground and tennis. HURRY, THIS WILL GO FAST!!!!!!!! ! MLS#21631935. 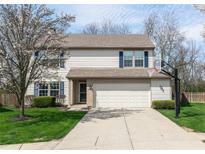 Keller Williams Indpls Metro N.
11 acres of green space & so much more! MLS#21632577. ERA Real Estate Links. Countryside - The house has a new roof. MLS#21631911. Keller Williams Indy Metro NE. 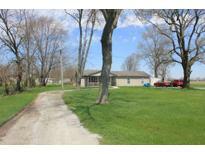 Countryside - This home will not last long at this price. MLS#21630608. F.C. Tucker Company. This home is one of the largest layouts in Maple Village and won't last long! MLS#21631552. CENTURY 21 Scheetz. Quail Ridge - Enjoy the great outdoors while Biking, Walking or running the Monon or enjoy one of the many parks Westfield has to offer. Make this house your home! MLS#21631465. Keller Williams Indy Metro NE. Sandpiper Lakes - Combined with quick access to shopping and the highway makes this is the perfect home! MLS#21631623. Keller Williams Indy Metro NE. Other bedrooms with private baths, finished basement & full bath. MLS#21632365. Nest Real Estate. Finished basement with wet bar, full bath, and bedroom with walk-in closet. MLS#21632199. ERA Real Estate Links.